John was born in Royal Oak, Michigan just a few miles from the edge of Detroit. Being interested in music from a very young age, he soon discovered the guitar as his favourite instrument and started having lessons at the age of 7. Throughout the next years, he developed his musical craft and played in several bands in Detroit. When John's band "The Natural Blues Band" broke up, he went on a holida...y to England where he met former Yardbirds Top Topham and Jim McCarty and became the singer and guitarist in their blues band. Playing four to five times a week all around London, John soon became known as "Detroit" John Idan. 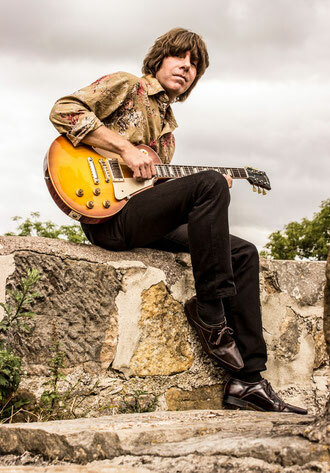 In 1992 John left the McCarty Band and formed "Realfire" and started writing songs. When the Yardbirds reformed in 1994 John was asked to be their lead vocalist and bass player, so he left Realfire, laid down his lead guitar and joined the Yardbirds. Since then, he has recorded two albums, Birdland and Live at BB King's, with them and toured the world several times. "Graduating from pop to blues" when he was about 15 years old, John, over the years developed a great interest in other kinds of music such as soul, folk and country. He finally started recording his own songs some years ago and is now able to show off his great musical talent in his new, completely self-produced and played debut solo album "The Folly", in which he combines all the music he is "into". In 2008 he released his debut solo album ‘The Folly’ on which he plays all the instruments with exception of a string quartet. In the same year he formed his own outfit ‘The John Idan Group’. In 2015 John re-joined the Yardbirds on lead vocals and lead guitar.